Working at home is not as easy as what people might think. It entails some problems just like working in an office. 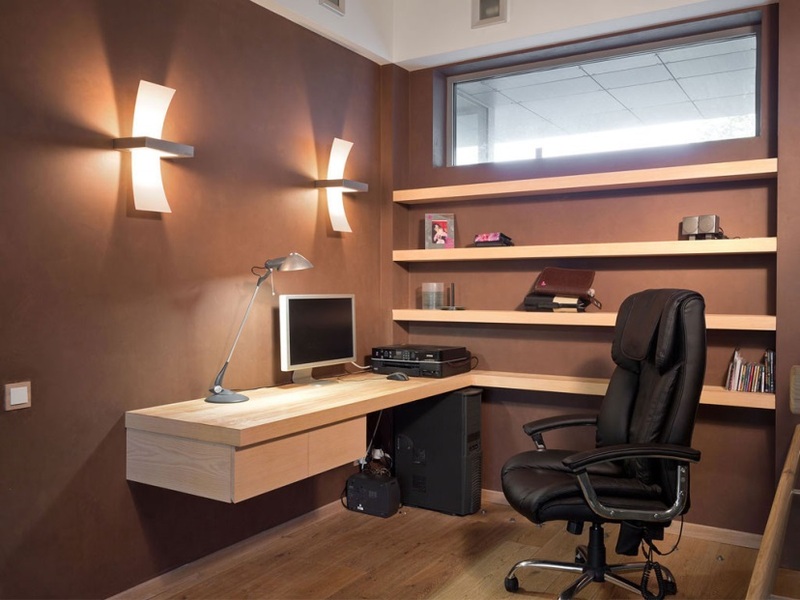 Fortunately, you can alleviate the problems by arranging your home office well. 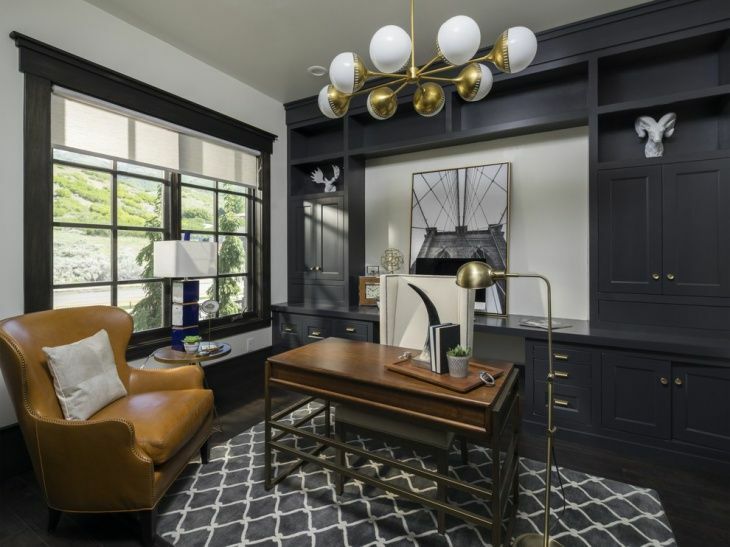 Here are 10 tips on home office ideas that can give you the ultimate comfort when you are working. 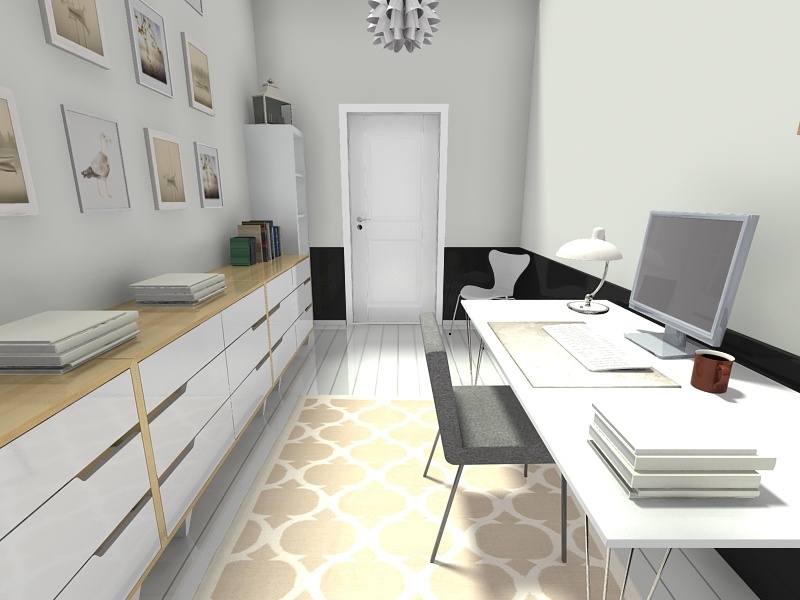 The first thing that you need to consider before creating a home office is the location. Since you will be working for hours every day, you need to make sure that the room or corner that you are going to use for your working area is comfortable enough. Another important thing is the traffic flow. If you are the type of person who can be distracted easily by the hustle bustle of your kids, your office has to be tucked away. On the other hand, if you have no problem with the noise, you can always place your desk anywhere. Hint : You have to prepare, at least, one extra chair or sofa in case your client stops by. When you are shopping on online stores to get a comfortable seat that you are going to use for working, you may come across various kinds of unique seats. They can definitely draw your attention and, eventually, make you hit the “buy” button. This is what you have to avoid – purchasing something that you do not need. You have to keep in mind that the main objective of the desk, storage, and shelves is to help you organize your files and give you the ultimate comfort. If that unique furniture cannot provide comfort, why will you buy it? Making yourself feel comfortable is the ultimate goal of any home office. Try doing anything that makes you feel comfortable such as listening to music or placing your home office by the window so that you can enjoy the spectcular landscape while working. Working for a long time can make you feel cheesed off and worn out. Therefore, a super comfortable chair with soft seat is needed to help you ditch the severe fatigue and focus on what you are doing. This is one of the most common tricks for any room – painting the wall your favorite color. If you are surrounded by something that you like, you will be encouraged to work harder. Let’s say the color of the interior has boosted your mood. In addition to the color of the walls, you can add some small accessories to your desk top or walls. You can do anything that can boost your mood very well. After working for hours, your neck will feel stiff and you surely need something that can blow off your steam in no time. In this case, natural landscape can be your safe bet. If you live in the countryside, you can place your desk by the window so that you can take a look at the natural view of the woods. So, what about the one that lives in a city? Don’t worry! You can still enjoy the exquisite city life by placing the desk by a large glass windows that lends a beautiful view inside the house. Decorating your working area is imperative to boost your mood and encourage you to work harder. You can use eclectic style by attaching some colorful sticky notes that reminds you to do your stuff as well as accentuating the reminder board. You can also put some photographs especially your beloved kids’ on the desk top so that you can look at their exuberant smiles whenever you need some mood boosters. Pro : By having all the things that you like most, you can boost your mood and, eventually, finishyour work soon. Con : With so many favorite things on the desk top, you will be distracted. Besides, you will not have enough space to spread out your files. Nothing can beat the comfort providing by neat and clean desk. Therefore, your home office has to have sufficient shelves, cabinets, and drawers. Classify your files according to the alphabets or anything you want. Investing a paper basket and put it on the desk top can be a great idea because you can reach the files that you need in no time. You will not have to mess yourdrawers up to find them among the odds and ends. When you are in the middle of working, your laptop is suddenly running out of power and you have to find the cord as soon as possible. It turns out the cord is far from the place you are sitting at the moment so that you need to sit nearthe cord uncomfortably. Have youever experienced it? It is annoying, isn’t it? Make sure that your home office enables you to have an easy access to the cord so that you can still sit comfortably on your chair while workingand recharging yiur laptop. Sufficientlightingisoneofthemostindispensablethingsincreatingahomeoffice.Placeyourdeskbyalargewindow. Let the natural light spreads throughout the room and help you see things clearly. You also need to install artificial lighting such as recessed LED lamps. The lighting will help you alleviate eye strains and headaches caused by inadequate lighting. Last but not least, encourage yourself to do better. Hanging some prints of motivational quotes may work well. Or, you can hang your kids’ drawing or the photographs of them that can encourage you to achieve your goal and make them smile again. 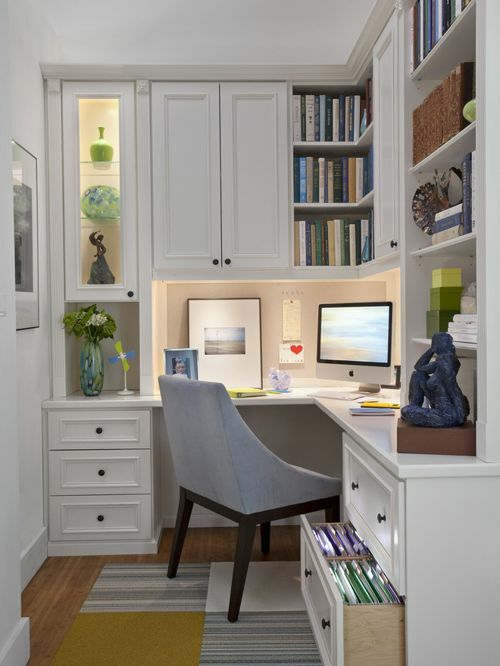 The interior of your home office also plays an important role in cheer you up and encourage you to work hard. 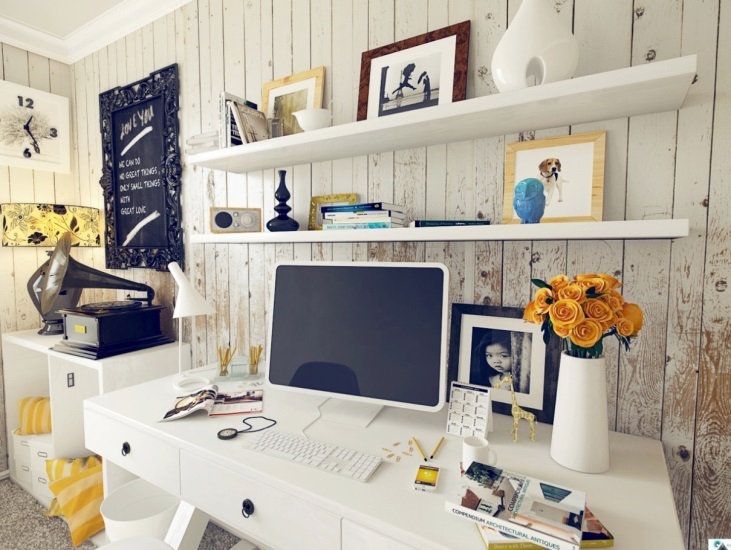 That’s all 10 tips on home office ideas that can give you the ultimate comfort. Don’t forget to rearrange the desk and the other things in your home office regularly for a fresher look and positive vibes.